Twitter announced today that it's bringing promoted tweets—basically its version of ads—to its mobile apps for Android and the iPhone. Bring the hate! Promoted Tweets will (initially at least) only appear in your timeline if you are following the promoter. So, for example, you are not going to suddenly see a promoted tweet for Taco Bell unless you are already following Taco Bell on Twitter. 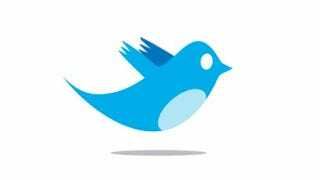 Twitter plans to roll the feature out slowly and incrementally in the coming weeks. There's no content differentiation in the mobile app version, either. In other words, you'll get the same promoted tweets no matter which version of Twitter you are using—mobile Web, Web or mobile app. This means that you won't get promoted tweets based on location, for example (other than metro region). You won't walk past a Starbucks and have a new tweet pop up for $1 off a Frappuccino. Not that you should drink Frappuccinos at any price. If you don't like a promoted tweet, you'll be able to dismiss it with a swipe gesture. Twitter says it is using this signal to help understand what users want and don't want to see, and to help advertisers run effective promotions. Twitter also says it's going to throttle the number of promoted tweets you'll see in a day, on any platform. To start with that's going to mean no more than ten a very small number. (I asked Twitter for an exact number, but it does not have one yet. It says it should be well under ten.) The company is going to study how people react to them to figure out what the right number is. Also, they won't appear at the top of your timeline when you launch an app, or even in the initial screen. They'll be somewhere down the line. It's studying where. My guess is that some people are going to hate this, and quite loudly. But that's silly. If you don't like Promoted Tweets, you can always pay to use another app like TweetBot. If you want to use the free Twitter client (to access the free Twitter service) seeing a promoted tweet from a user you already follow doesn't seem like too much of a sacrifice.